The Liverpool Masonic Rebellion of 1823 was partly a result of the changes that the new United Grand Lodge of England had made after the union of 1813, and was partly a result of the social changes which were happening at the time; the north-west of England becoming heavily industrialised, with growing radicalism and protests such as the Peterloo massacre, all occurring during this crucial period of social upheaval. The leaders of the lodges involved in the rebellion, were radical, charismatic, and powered a heady concoction of anger and ego, they led there lodges head first into a rebellion which would change the Masonic landscape in England for ever. Lodges such as the Merchants lodge, which had been founded by such local dignitaries as Thomas Golightly, a powerful Liverpool merchant and politician, led the way in the rebellion, which was to eventually create the Grand Lodge of Wigan, a separate Grand Lodge which lasted until 1913. Why write a book on a Masonic Rebellion that took place in 1823? Well, it was a major event that ultimately had an effect on the Craft in England. The rebellion was about a group of Freemasons in the north west of England making a stand for what they thought was a just cause; the ritual was being changed by Masons in London, lodges were being charged extra fees to pay for the rebuilding of Freemason’s Hall in London, and the administration of the new United Grand Lodge was being changed. The Antients Grand Lodge and the Moderns Grand Lodge had come together in 1813, and under the leadership of the Duke of Sussex, things had started to change. Many lodges throughout England and Wales accepted the changes, but areas such as Lancashire resisted. Liverpool took the lead in the rebellion, and was soon joined by lodges in nearby Wigan. 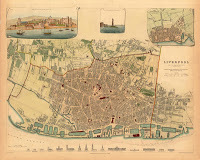 Liverpool was a thriving port at the period, and had links to outlining towns through the cotton industry; towns such as Wigan, Warrington and Manchester being ‘mill towns’, heavily dependent on Liverpool’s cotton trade. Thus Lancashire was the heartland of England’s industry, it was a large county, and it was undergoing a change culturally as people flocked to the mill towns for work in the factories. Before the advent of the railways, it took around a week to travel down to London on the rough dirt tracks that made up England’s road network, and Liverpool was a wealthy port, and thought of itself as a rival to London. Freemasonry was an important society to up and coming merchants and tradesmen, and certain Freemason’s of Liverpool and Wigan passionately opposed the changes being made to their society. The new book gives an intricate account of the story of the rebellion, and its importance socially and culturally to the north west of England and the Craft as a whole. David Kinchen’s review of The Liverpool Masonic Rebellion and the Wigan Grand Lodge. 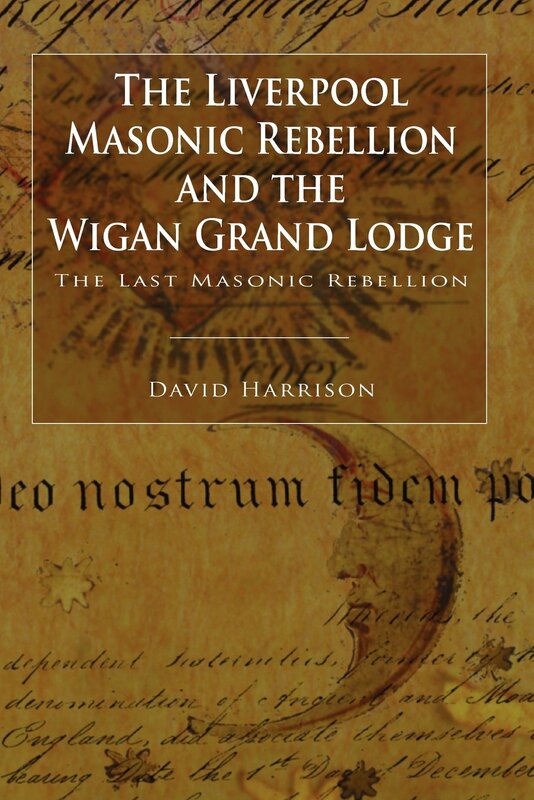 My new book ‘The Last Rebellion: The Liverpool Masonic Rebellion and the Wigan Grand Lodge’ is due out within the month, I’ll be posting up details of events I’ll be doing to support the launch of the book; I’ve got a number of talks planned, signings and appearances. I’ll also be posting up pictures from the book and publishing snippets of the story. This post takes a look at two of the leaders of the Rebellion; Michael Alexander Gage and James Broadhurst, who were renowned in their own right. James Broadhurst was a war hero, having served on Nelson’s flagship for a time. He had fought at the battle of Cape St. Vincent and served for a time on the San Jose. 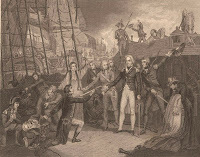 The print here celebrates the surrender of the ship to Nelson. The book published by Arima is now available on Amazon and Barnes & Noble. I will be having a pre-launch for the book at Pemberton Masonic Hall in Wigan, Lancashire, on Sunday, 10th of June, which will be hosting an open day between 10am and 2pm. I will be on hand to show people the artefacts of the Wigan Grand Lodge and will be giving information about the new book, as well as signing copies of my previous two books.